With Fontana Lake filling up right on schedule, the season’s first big fishing event gets underway at 7 a.m Saturday May 2 at the Almond Boat and RV Park near Bryson City, NC. The 16th Annual Bass Tournament and Barbecue will feature music, food, raffle prizes, and huge cash prizes for the tournament winners! All proceeds benefit the West Swain Volunteer Fire Department. To register, contact Jim at Almond Boat and RV Park 828-488-6423; Casey at Smoky Mountain Lakes and Marine 828-488-2424; or stop by Clampitt Ace Hardware in downtown Bryson City 828-488-2782. 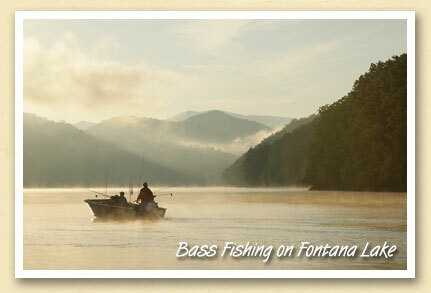 Fontana Lake boasts one of the most diverse fish populations anywhere in the country, including Large and Smallmouth Bass, Walleye, Crappie, Bream, Muskie, Catfish, Steelhead Trout and White Bass. The website GreatSmokies.com has more information about Fontana Lake and fishing in the NC Smokies.